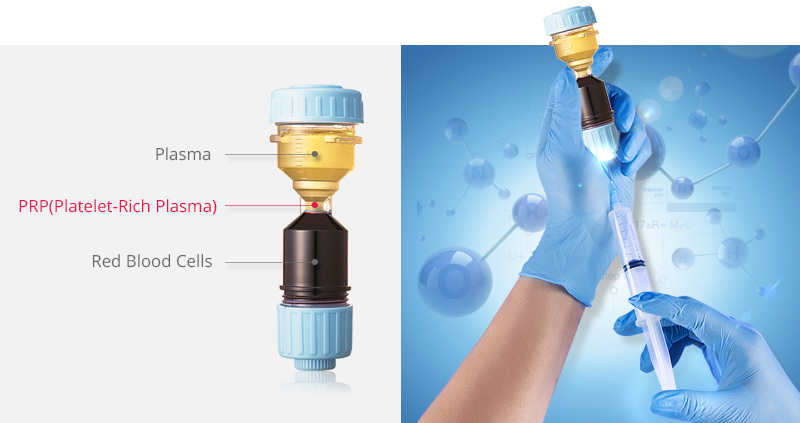 Experience the next generation of medical innovation state of the art Dr PRP kit. A Versatile Patented Dr PRP System for safe and effective regenerative therapy making treatment simpler and far more effective for you. 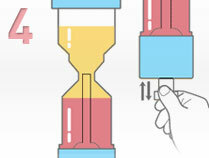 Make sure our PRP tube suitable for your centrifuge, check measurements on a picture. Dr PRP training provided in a clinic, charges apply. 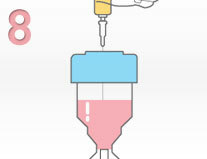 Dr PRP is a medical device exclusively designed for PRP separation. Highly concentrated platelets by Dr PRP kit release a large amount of growth factors which are normally inside the platelets. The large amount of released growth factors includes the therapy of damaged connective tissue rapidly and robustly, these growth factors may lead to stable regeneration of the damaged area by collecting the cells capable of wound therapy induction. 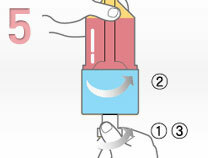 Easy separation due to single tube use. Highly concentrated PRP extraction by centrifuging twice. 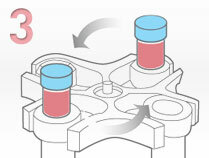 Elimination of contamination due to the double O-ring interference fit. Easy identification of the Buffy coat layer by naked eye. Highly counted number of the platelets. Dr PRP Kit uses biocompatibility certified materials and the parts undergo gamma-ray sterilization according to ISO 13485 standards. system and double safety cap. Dr PRP ensure zero contamination from surrounding air during the separation process. The Buffy coat layer can be easily and accurately identified by naked eye so you’ll have precise sample of highly concentrated PRP. PRP (“Platelet Rich Plasma”) is nothing but autologous blood with concentrations of platelets above baseline levels and contain at least seven growth factors. Normal blood contains only 6% platelets. 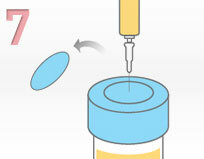 However, in PRP, there is a concentration of 94% platelets, which translates to a powerful growth factor “cocktail” with a variety of growth factors and cytokines. This stimulates cellular proliferation and tissue regeneration to dramatically accelerate healing. 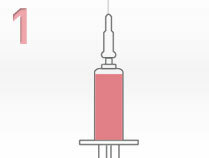 Treatment with platelet-rich plasma holds great promise in a wide variety of healthcare needs. The success of PRP can be contributed to the fact that with PRP, there are almost no side-effects like infection, tissue damage or nerve injuries that are associated with similar treatments. of blood from the subject. the 20 cc scale marked on the kit. of the plasma and the RBC layer. lower part of the Kit. 4 cc at the lawer part. 4 cc of PRP layer. 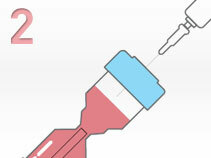 The platelets in PRP accelerates repair and strengthens damaged tissues naturally. By invoking the patient’s inflammation response, PRP allows fast healing without the significant risks of surgery, joint replacement, or other invasive procedures. Plantar Fasciitis, sports ligament injuries, frozen shoulder, chronic elbow inflammation. Recovery from postoperative pain, damaged shoulder rotator cuff, tendon injury. Achilles tendinitis, chondromalacia patellae, ligament injury of ankle, cartilage damage, degenerative arthritis, etc. Now your patients can reduce wrinkles and fine lines without going through risky surgical procedures. Since PRP uses the patient’s own blood to produce the platelets, they are far safer than other surgical and non-surgical procedures out there. PRP procedure helps restore and enhance skin regions that require volume, and improves its texture and tone considerably. The treatment will leave the patient looking more youthful and rejuvenated. Ever wonder how PRP Hair Loss Treatment works? 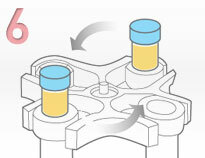 I recently purchased Dr PRP kits and centrifuge from Ortho Medical Ltd. I was very satisfied with the purchase and delivery process which was smooth and timely. I have now been using the kits and should say extremely happy with the practical side of them. Easy to use and the harvest a seems to be high as you can tell by the response to treatments so far. Absolutely brilliant product and the manager of SDD Medical goes out of his way to be incredibly helpful and supportive. I have had great results within clinic using Dr PRP and would highly recommend it to other practitioners using regenerative medicine. Huge recommendation for company and product.